MANNY V. Pangilinan’s almost decade-long term as president of the Samahang Basketbol ng Pilipinas (SBP) comes to an end on Monday when the country’s governing body for the sport holds its election for a new set of officers. The proceedings is set 12 noon at the Dusit Hotel in Pasay City, where the cage body elects a new board of trustees from which the successor of Pangilinan will come from. 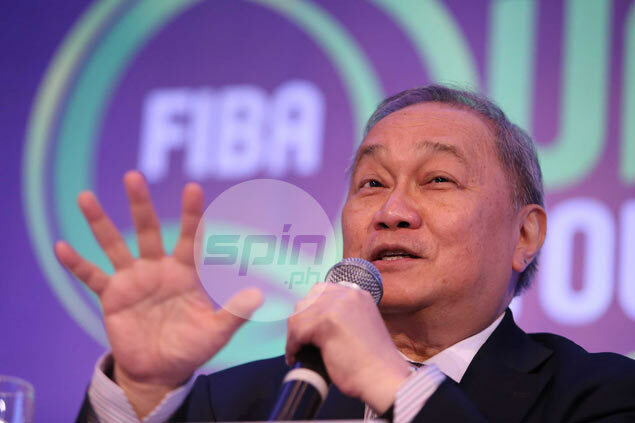 The PLDT and Smart Communications chairman has been at the helm of the SBP since 2007 when it became the recognized basketball body by Fiba in lieu of the Basketball Association of the Philippines (BAP). “We will elect a new board, and that board will select a new set of officers,” said SBP executive director Sonny Barrios in explaining in simple terms how the meeting will go on. Al Panlilio, one of Pangilinan's most trusted lieutenants, is set to be elected the new president.